In this study we examine the multi-dimensional structure of environmental behavior and its potential domains. Factor analysis reveals six behavioral domains: civic actions, policy support, recycling, transportation choices, behaviors in a household setting and consumerism. 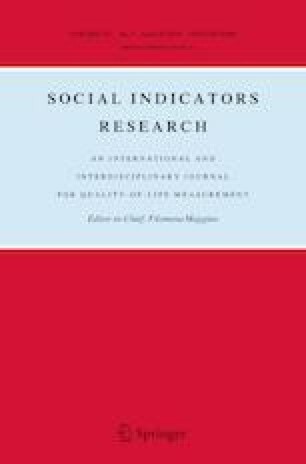 We use the Connectedness to Nature and Inclusion of Nature in Self scales to measure connection with nature, the New Environmental Paradigm to measure ecological worldviews, and Environmental Motives Scale to assess people’s environmental concern. We further explore the predictive power of connectedness to nature, ecological worldview, and environmental concern for explaining the diverse behavioral domains. Connectedness to nature and ecological worldview were more predictive of civic actions, recycling, household behaviors, and consumerism than were environmental concerns. In the case of policy support and transportation choices, environmental concerns explained more variance than the other constructs. Anastasia Gkargkavouzi contributed to conception and design, the collection of the data, analysis, and interpretation of data, and drafting the article. Professor George Halkos contributed to the drafting of the data. Assistant Professor Steriani Matsiori contributed to the drafting of the data and supervised the entire study procedure. The present work is part of a Ph.D. study which is co-financed by the National Strategic Reference Framework (2014–2020), the European Social Fund and Greek Public Sector, through the action “Strengthening the human research potential” and the implementation of Operational Program “Human Resources Development, Education and Lifelong Learning” (MIS 5000432). All author declare no conflict of intrest.